GGauteng is an urban playground – think large shopping malls, bars, hotels, casinos and a vibrant cultural and entertainment scene. 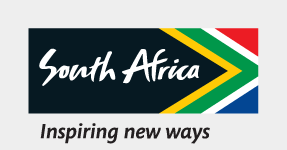 It is South Africa’s economic powerhouse, and is fast-paced, high-tech and ever changing. Gauteng is the smallest of South Africa’s nine provinces, but also the most densely populated and the fastest growing – not too surprising, really, as Gauteng means ‘place of gold’ (gold has been intertwined with the province’s history ever since its discovery in the Johannesburg area in 1886). It is a province of contrasts – old and new, contemporary and traditional, dense cities and wide-open grasslands, all co-existing. Although dominated by urban areas, there are a number of great natural attractions, like the Dinokeng Game Reserve, Gauteng’s only Big Five nature reserve; the Pretoria National Botanical Garden; and the Magaliesberg mountains. GGauteng is also home to the Cradle of Humankind World Heritage Site, which contains some of the most important palaeoanthropological sites in the world. Here, scientists have discovered important fossils that tell us much about the predecessors of modern humans. Most of Gauteng is on the Highveld, a high-altitude grassland; its spectacular Highveld thunderstorms are legendary. There’s plenty for you to do in Gauteng, whether you favour a night on the town, a game drive or some great shopping. Immerse yourself in Gauteng’s cultural scene – there are museums, galleries, theatres, historical sites, cultural hubs and a number of music festivals. Gauteng boasts a world-class infrastructure and a large range of accommodation, from the ultra-luxurious to budget options. The Apartheid Museum in Johannesburg documents South Africa’s Freedom Struggle during the days of apartheid. Set on 7ha of landscaped grounds, the museum has over 20 exhibition areas that include film footage, text panels and artefacts. About an hour’s drive from Johannesburg is the Cradle of Humankind, which is renowned for its extraordinary fossil record of early human ancestors. The capital of Gauteng was built on the discovery of gold in 1886. It is now a vibrant megacity (the greater Johannesburg area is home to about 10-million people) that is the economic powerhouse of the country.